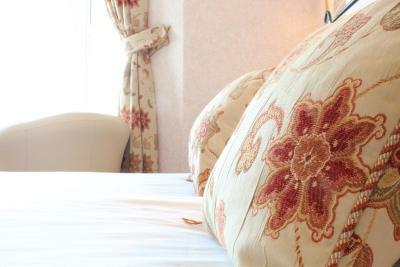 Lock in a great price for The Ashley – rated 9.7 by recent guests! I arrived just after 9pm and the greeting was very welcoming and straight forward. 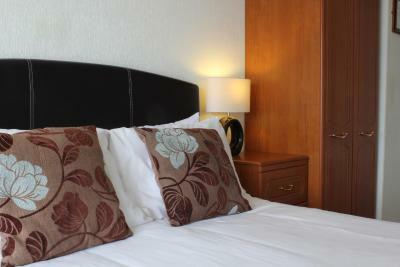 The room was clean, nicely situated on the sea front and great for an overnight stop for work. 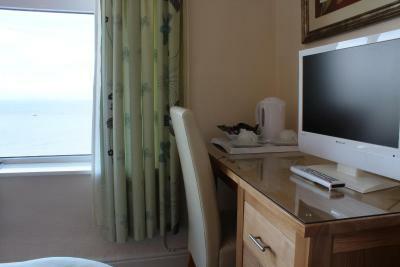 Immaculately clean room, with absolutely fantastic views over the Bay. Bed was comfortable. 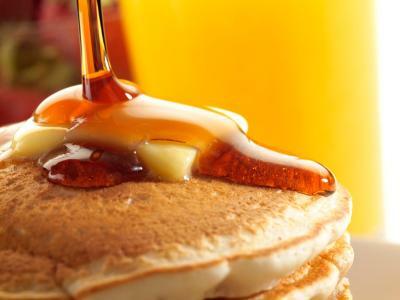 Breakfast was beautiful and made fresh to order. I visit Morecambe at least 3 times a year and I’ve stayed in several other hotels in the area and this is definitely the best. Early or late check-in is never a problem with them which suits me. 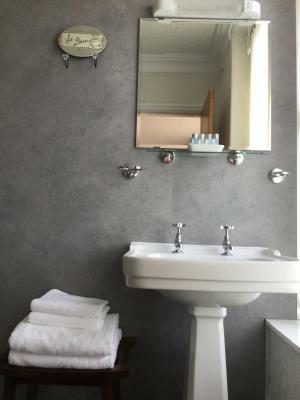 The room was immaculately clean and comfortable. 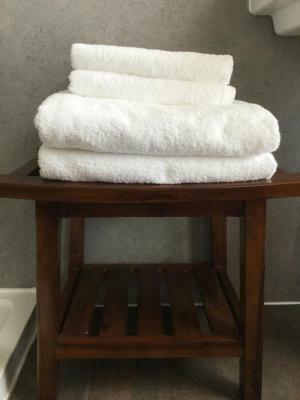 I’m very particular about cleanliness and this is by far the cleanest hotel I’ve ever stayed in. 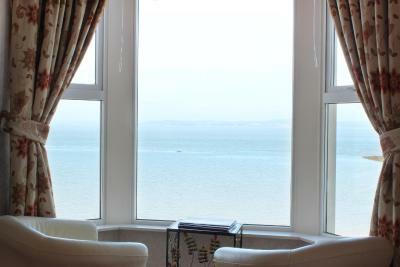 I was in one of the Premier sea view rooms this time, the view from the bedroom window was amazing . 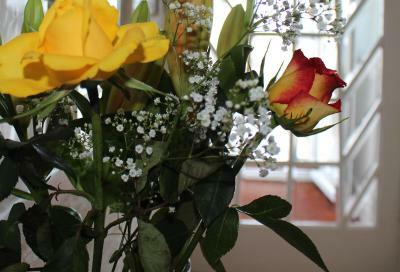 You could really spend hours looking out of the window at the prom, the sea and the weather ! (The WiFi was fast as well.) I always look forward to the breakfast which is delicious (would recommend the Portobello Eggs Benedict), cereals, fruit, yogurts etc and everything being freshly cooked. They even grind the coffee beans freshly so the coffee is perfect. 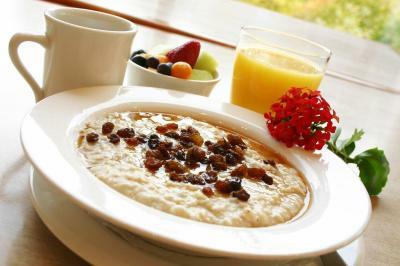 Loved the fresh fruit salad at breakfast and each thing i chose of the menu was cooked fresh and was wonderfully cooked. Hosts were friendly and welcoming. Would definitely stay at the Ashley again. 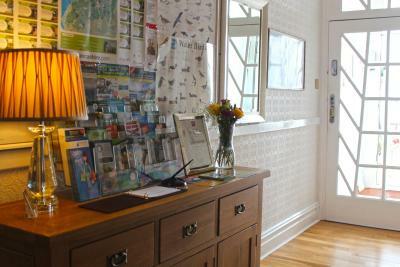 Everything was excellent and extremely clean, John and Pauline were perfect hosts. 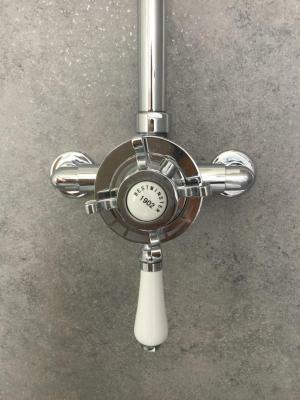 The Ashley This rating is a reflection of how the property compares to the industry standard when it comes to price, facilities and services available. It's based on a self-evaluation by the property. Use this rating to help choose your stay! 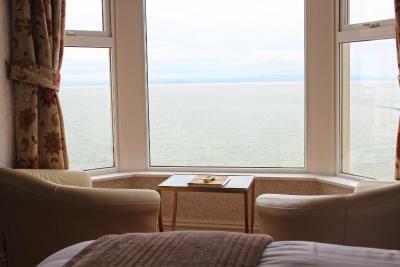 Located along Morecambe Bay, The Ashley is just 8 minutes’ walk from the center of Morecambe. 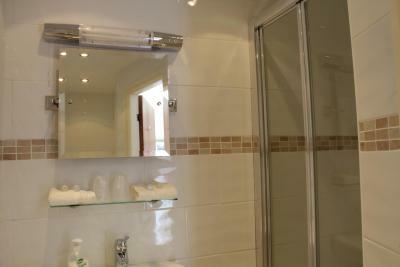 Featuring views over the sea, towards the Lake District hills, it offers free private parking and free Wi-Fi throughout. The family-friendly rooms offer a flat-screen TV, individual heating, and tea and coffee making facilities. 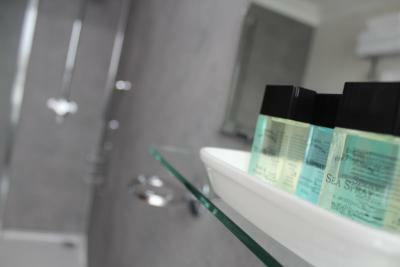 The en suite bath or shower rooms have complimentary toiletries and a hairdryer. Some rooms have views over the sea. 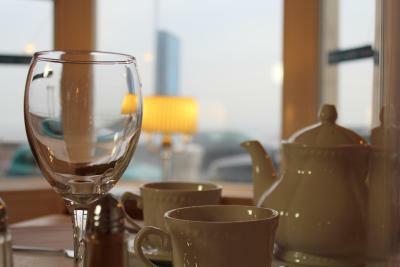 In the mornings, the family-run Ashley serves fresh full cooked breakfast in the dining room, which features views across Morecambe Bay. Dishes are prepared using locally sourced produce where possible. 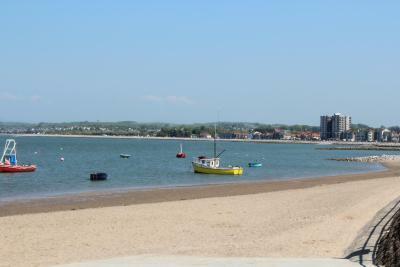 The Ashley is located on Morecambe’s East Promenade, just 5 minutes’ walk from Morecambe Town Hall. Morecambe Bay is located at the foot of the Lake District National Park. Guests can enjoy scenic walks and bike rides. When would you like to stay at The Ashley? Featuring a sea view, this luxurious room offers free Wi-Fi, a flat-screen TV, individual heating, and tea and coffee making facilities. 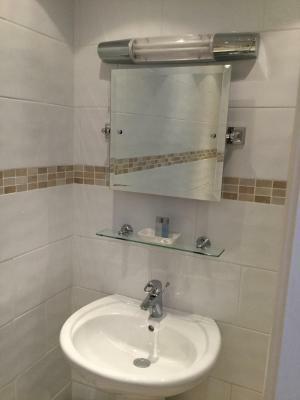 The private bathroom has complimentary toiletries and a hairdryer. 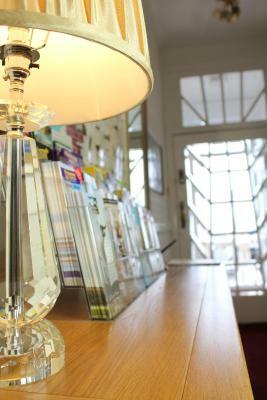 Featuring a sea view, this spacious room offers free WiFi, a flat-screen TV, a desk, individual heating, and tea and coffee making facilities. 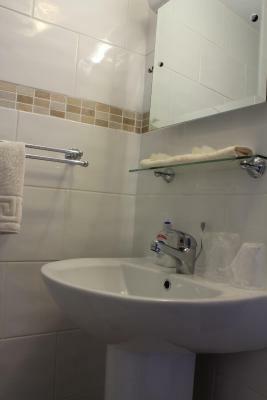 The en suite shower room has complimentary toiletries and a hairdryer. This room is on the third floor, three flights stairs. 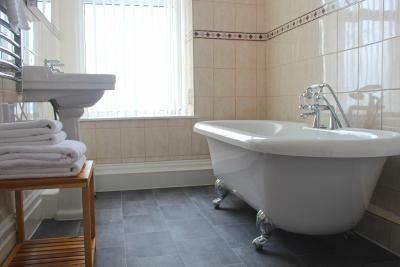 A 4 star, award winning Morecambe hotel only a few minutes walk from the centre of town. 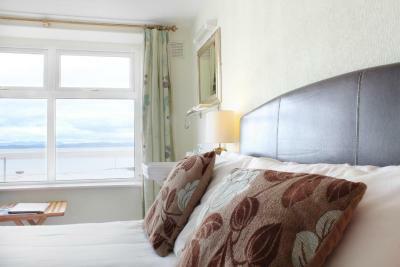 Situated on the seafront with views over Morecambe Bay and the Lake District. House Rules The Ashley takes special requests – add in the next step! The Ashley accepts these cards and reserves the right to temporarily hold an amount prior to arrival. Please note that late check-ins may be available with prior arrangement. On arrival to the room the heating wasn’t on so it was very cold and took a while to warm up. Overlooking the bay easy walk to the town. 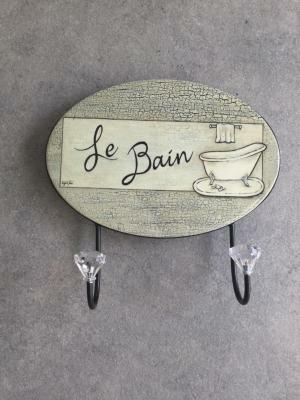 I would have liked a heater in the bathroom. If there was one i didnt find it. Being november it was pretty cold every time i came back to my room. Was everything we hoped for. couldn't get wi-fi but maybe that was my fault. the bed was so comfy we could have slept sideways. The views were wide and tranquil. Shower facility could do with upgrading. Received a warm welcome and made to feel at home. 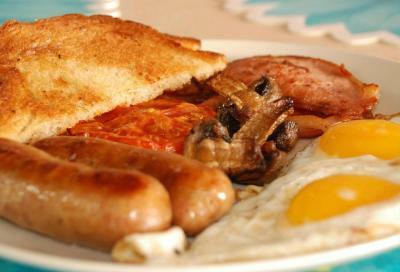 Accommodation was spotless and the variety and quality of the breakfast was excellent.